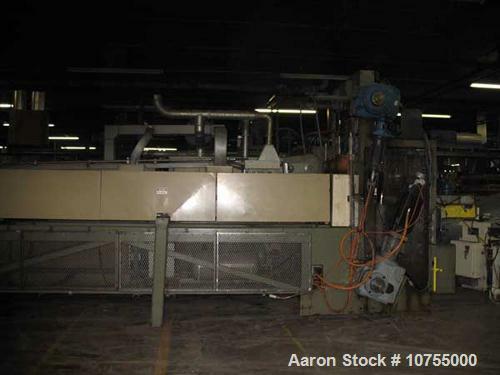 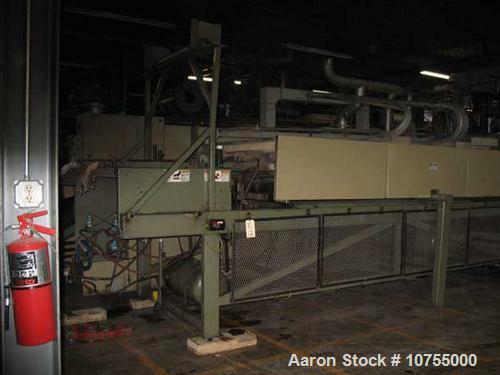 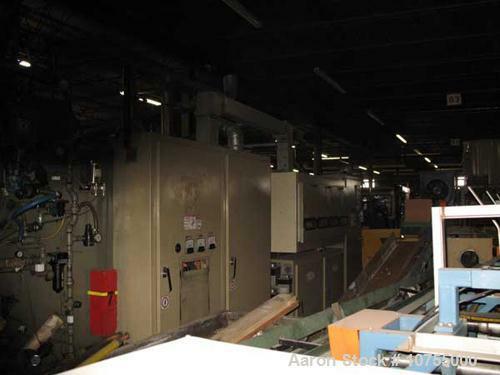 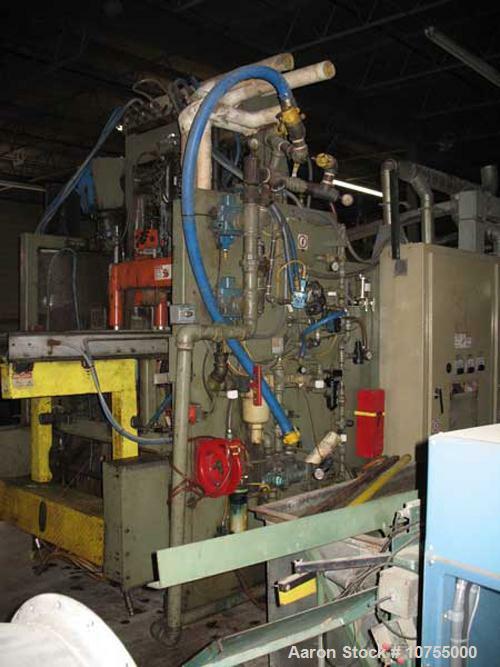 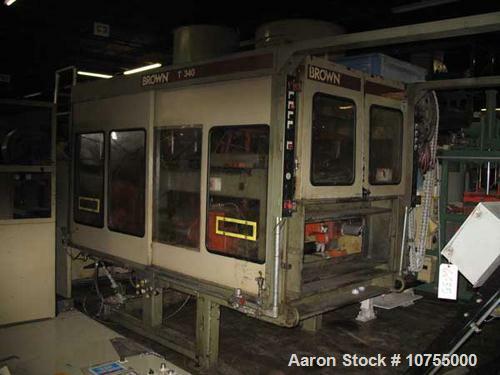 Used- Brown CS-4500 Thermoforming Line.40" wide x 42" long max mold size, 7" max depth draw, 100 psi max forming pressure, 3 axis servo drive/platen, 4 stop oven, calrod bottom and ceramic top. 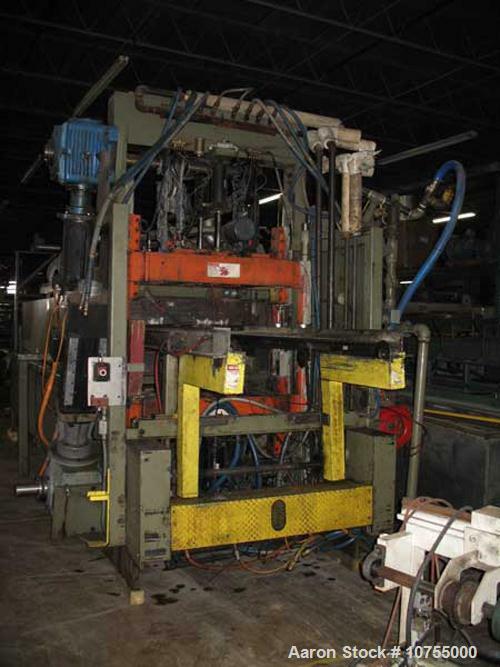 Two 48" power unwind rolls, auto lube system, 240 kva average power consumption, Brown T340 30 ton trim press, s/n 13787, mfg 1999. 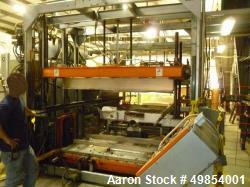 4.5" min adjust stroke to 16.5" max, 12.25" x 40" max. 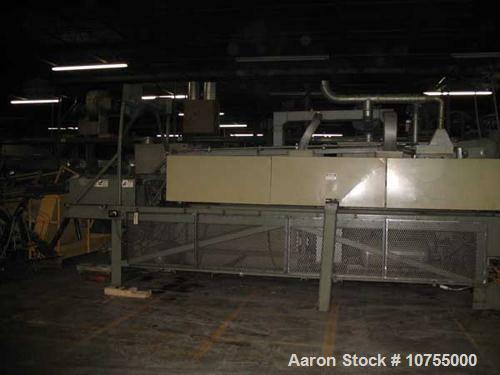 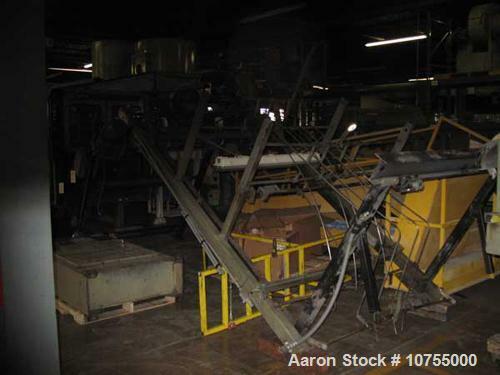 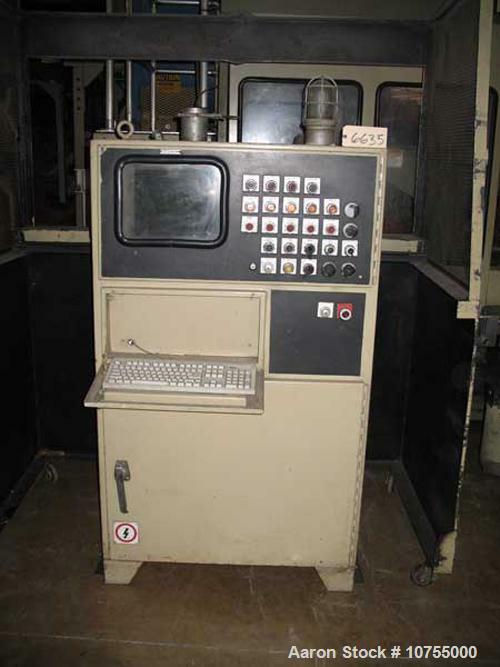 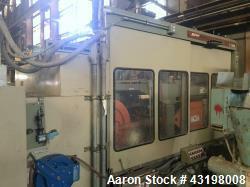 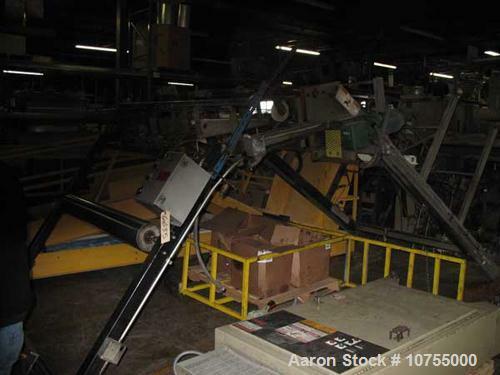 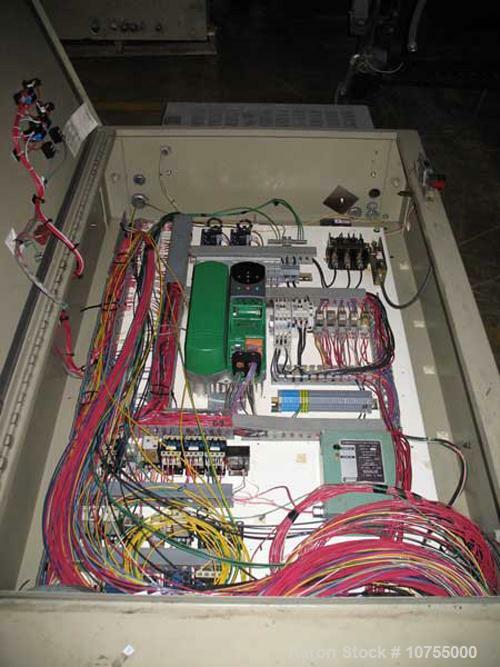 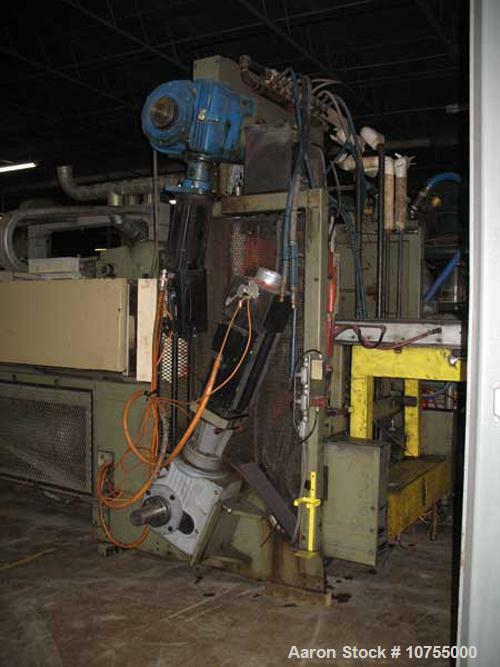 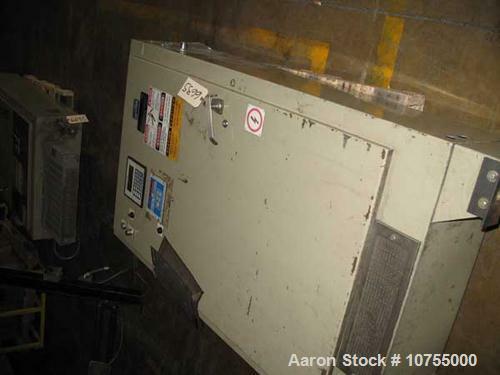 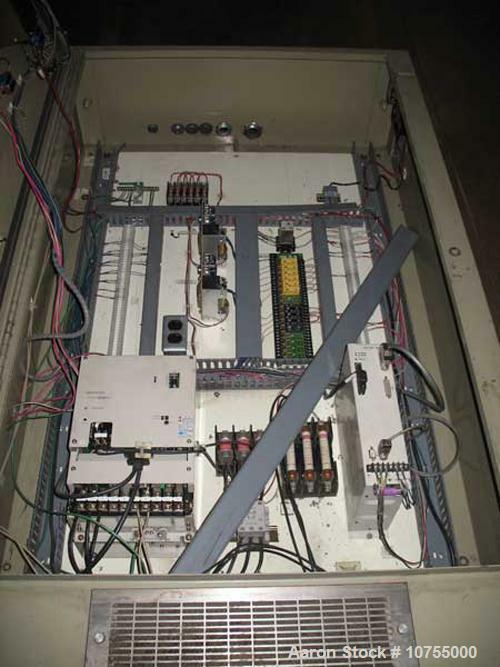 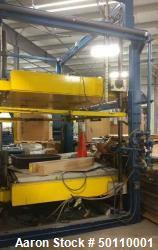 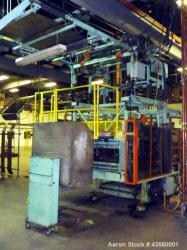 Stationary platen opening, 43" max sheet width, 10 hp variable drive, 17 kva, servo ejector kit, mfg 4/99, s/n 31807. 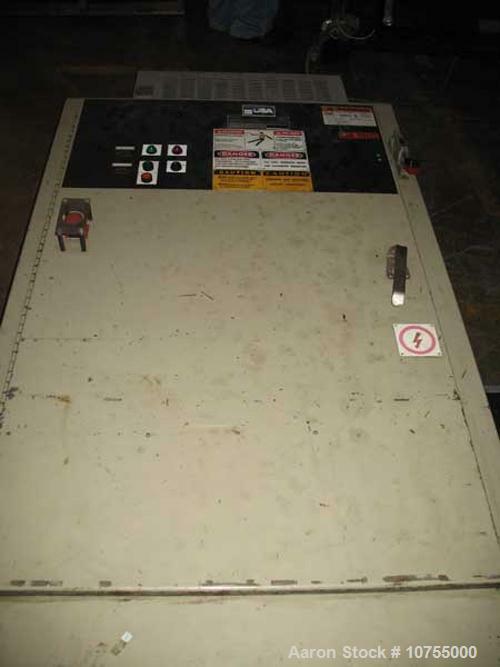 Complete with canopy and all drives and controls.